Star Wars x adidas Originals Top Ten SW "Hoth"
The Star Wars X adidas Originals collaboration has been running for a long time and each season they churn out consistently good products inspired by the iconic movies. Today&apos;s model was inspired by Episode V and the battle on the icy planet of Hoth where we see the adidas Originals Top Ten SW (Skywalker) done up to resemble Luke&apos;s Rebel Alliance uniform. The SW itself is made up of canvas and also features a quilted pattern on the collar in a mix of brown tones. 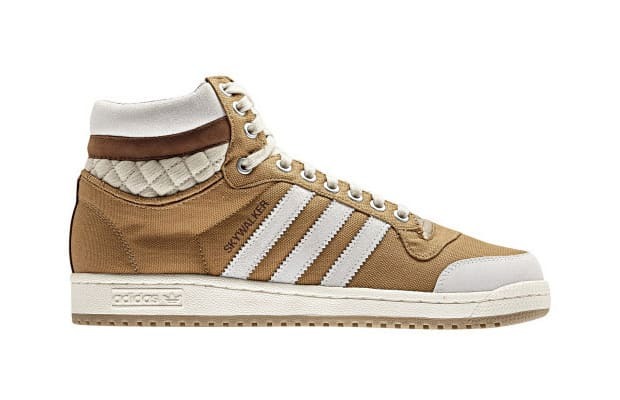 Star Wars fans and sneaker fiends alike can head over adidas to cop a pair. May the force be with you.